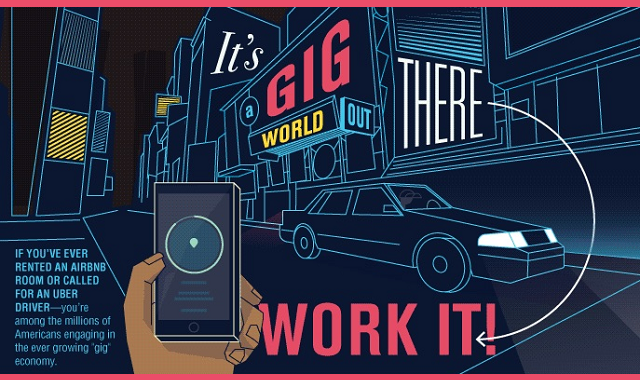 Gig Economy #Infographic ~ Visualistan '+g+"
If you’ve ever used Uber or AirBNB you’re part of the so-called “gig economy.” The workplace is changing and more and more people are taking advantage of the freedom and flexibility of on-demand jobs. It’s not always a good thing- though most workers are happy with their jobs, 58% of freelancers agree providers are taking advantage of a lack of regulation in the industry. Learn more about about the gig economy from this infographic!